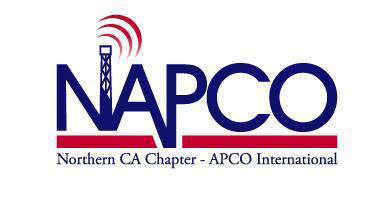 The Annual NAPCO Vendor Display is the premier place to promote your communications products and services to key decision makers representing many cities, counties, state and other public agencies serving over 14 million citizens throughout Northern California. All past events have been sell-outs. If you are dealing with more than one agency in Northern California, You need to be here! The Association of Public-Safety Communications Officials - International, Inc. - APCO International - is the world's oldest and largest not-for-profit professional organization dedicated to the enhancement of public safety communications. With more than 15,000 members around the world, APCO International exists to serve the people who manage, operate, maintain, and supply the communications systems used to safeguard the lives and property of citizens everywhere. and dozens of similar organizations..
Foster the development and progress of the art of public safety communications by means of research, planning, training and education. Promote cooperation between towns, cities, counties, states, and federal public safety agencies in the area of communications. Represent its members before communications regulatory agencies and policy-making bodies as may be appropriate, and through its efforts, strive toward the end that the safety of human life, the protection of property and the civic welfare are benefited to the utmost degree. Aid and assist in the rapid and accurate collection, exchange and dissemination of information relating to emergencies and other vital public safety functions.